Lime kiln, a kind of kiln equipment that firing lime in the high temperature, is used to calcine and resolve limestone into CaO and CO2 under high temperature. Put limestone and fuel into lime kiln after preheating when the temperature reaching 850℃, start to resolve. When reaching up to 1200℃, through cooling, unloaded from kiln, That’s the whole manufacturing process of limestone. Different kiln have the different reheating, calcining, cooling and discharging. But there are several same points of process principle: high quality raw materials and lime, high fuel value and less quatity consumption, particle size in direct proportion to calcination time of limestone, activity degree of calcined lime in direct proportion to calcination time and temperature. There two types of kiln for manufacturing active lime: rotary kiln and shaft kiln. Lime kiln is mainly made of kiln body, feeding device, distribution device, burning units, unloading device, electric appliance, instrument control device and dust-extraction unit. 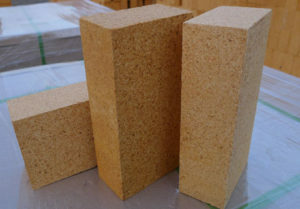 As the refractory lining of lime kiln is affected by high temperature thermal shock, mechanical wear, structural stress and chemical attack, in consideration of this hard service conditions, require refractory materials with good chemical erosion resistance, good high temperature bulk density stability and the integrality of brickwork, good thermal shock resistance, good mechanical erosion and wear resistance. 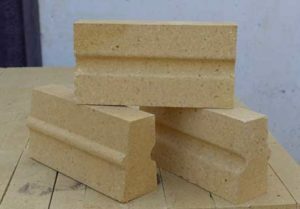 Lime will react with brick lining, the brick lining will be erosion , the materials will wear the brick lining when loading. 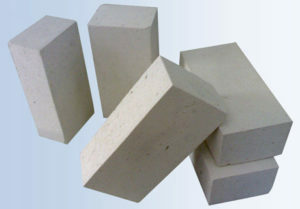 Adopt high alumina bricks with high refractoriness of 1770~1790℃ and good wear resistance. 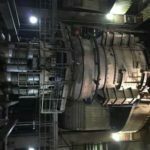 There is preheater in front of preheating section. Heat lime first in the preheater. The heat source uses the exhaust gas of cooling zone. The raw material granularity is 10~30mm. The temperature is 1000~1050℃. Require refractory materials with high strength, good wear resistance and certain thermal shock resistance. Generally adopt compact fireclay bricks or high grade fireclay bricks to construct. There is no need for permanent layer. The temperature of furnace shell is not higher than 350℃. The temperature in this stage is about 1200~1300℃. Transitional zone is the transitory stage of lime running to the burning zone. There is large temperature variation in this stage. Part of lime start to reaction. Require refractory with good thermal shock resistance and high strength. Generally adopt mullite bricks for this zone. At the same time, to make the materials well distributed and fired, adopt the three same texture precast block as the raised materials to add along the length direction when construction. Use mullite bricks and fire clay to directly construct. There can be no permanent layer. High temperature zone is closed to burning zone, the operating temperature is 1300~1400℃. There is large temperature variation in this zone. Require refractory materials with high refractoriness under load, higher bulk density stability and good thermal shock resistance. Generally adopt special high alumina bricks and fire clay to directly construct. There is no permanent layer. Burning Zone is the end reaction step of lime. This step adopts nozzle to heat up. The temperature is about 1400~1500℃. As the higher requirement for lime activities, the burning temperature is higher. 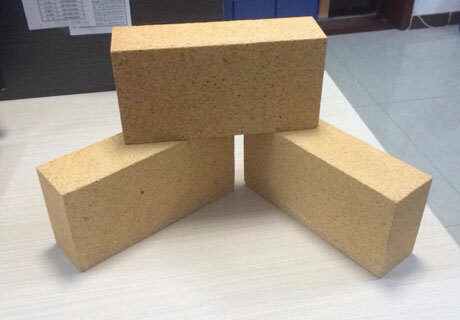 Hereby, this step adopts perpetual thermal-protective coating and adopts the refractory insulation with high strength to prevent from abrasion and pulverization by working lining. The zone adopts high magnesia spinel brick to construct with fire clat, add steel plate between bricks. Steel plate and materials can produce magnesia steel spinel bricks and contact for long. Cooling Zone is very short. There is only several ring bricks or castable. The temperature is about 1300~1400℃, which generally adopts high alumina bricks to construct. Cooling machine is a kind of cooling equipment for finished lime. Use air blower to cool. This area requires better cooled lime that is lower than 100℃. The cooled lime goes into stock bin through belt. The temperature, about 600℃ after heat exchange, as the combustion-supporting goes into rotary kiln and combined firing with gas. This area adopts fireclay bricks to construct with fire clay. 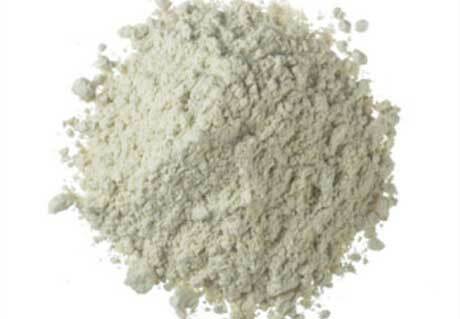 Use refractory mortar to match all kinds of refractory bricks in all kind of position. 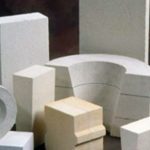 There is special requirement for refractory mortar. Choose the suitable refractory mortar according to the temperature and requirement of each position generally. Prevent that only pursue the high texture of mortar, but cannot match with the temperature and materials, which will affect the whole operating of kiln. The suitable kiln lining can result the high-efficiency capacity. Choose high temperature resistance, wear resistance, high refractoriness under load, thermal shock resistance to for the lining of lime kiln according to the anti-erosion factors under the situation of burning mechanism, abrasion mechanism and high-temperature reaction.